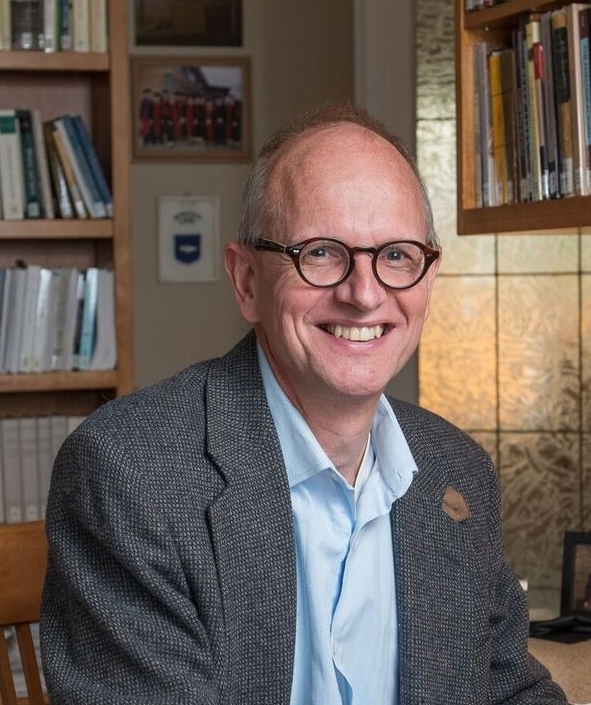 Hans Boersma teaches doctrinal theology and history of doctrine in the J. I. Packer Chair at Regent College in Vancouver, Canada. Thank you for visiting my web page. I teach doctrinal theology and history of doctrine in the J. I. Packer Chair at Regent College in Vancouver, Canada—the best evangelical graduate school of theology in North America, in the most beautiful province of Canada! (If you’re interested in studying at Regent, especially if you’re interested in Christian doctrine, contact me: hboersma@regent-college.edu). Before coming to Regent College in 2005, I taught for six years at Trinity Western University in Langley, British Columbia. I also served several years as a pastor in a Reformed church. I grew up in the Netherlands and have been in Canada since 1983. In case you’re interested in a very brief clarification, let me explain what I mean by ‘sacramental ontology.’ Ontology is simply talk about reality or about being. I use it pretty much as a synonym for ‘metaphysics.’ Ontological questions concern basic issues of reality, most importantly how we understand the relationship between the sensible world around us and spiritual realities. I believe in God (the triune God of the Christian tradition, revealed in Jesus Christ), which means I think there’s more than the appearances that we can see and touch. Invisible realities, too, have their place—in fact, they have the most important place. Someone’s ontology or metaphysic explains how that person understands these various aspects of reality to relate to each other. It’s important to note that everyone has an ontology or metaphysic—some hold it consciously, others without realizing it. So what is sacramental ontology? I unpack this in detail in my book, Heavenly Participation, and what follows here is mostly taken from that book. Perhaps the easiest way of explaining the notion of ‘sacramental ontology’ is by distinguishing between symbols and sacraments. A road sign with the picture of a deer symbolizes the presence of deer in the area, hopefully causing drivers to slow down. Drivers will not be so foolish as to veer away from the road sign for fear of hitting the deer that is symbolized on the road sign. The reason is obvious: the symbol of the deer and the deer in the forest are two completely separate realities. The former is a sign referring to the latter, but in no way do the two co-inhere. It is not as though the road sign carries a mysterious quality, participating somehow in the stags that roam the forests. The symbol and the reality merely have an external or nominal relationship. The distance between the two makes clear that there is no real connection between them. Things are different with sacraments. Unlike mere symbols, sacraments actually participate in the mysterious reality to which they point. When it comes to sacraments, sign and reality co-inhere; the sacrament participates in the reality to which it points. A sacramental relationship implies that the reality to which the sign points is ‘really present’ in the sign. (The language of real presence probably reminds you of the church’s sacraments, where Christ’s body is ‘really present’ in the elements.) This understanding of sacramentality has a long lineage. According to the sacramental ontology of much of the Christian tradition, the created order was more than just an external or nominal symbol. Instead, it was a sign (signum) that pointed to and participated in a greater reality (res). The reason for the mysterious character of the world—on the understanding of the Great Tradition, at least—is that it participates in a greater reality, from which it derives its being and its value. Hence, instead of speaking of sacramental ontology, we may also speak of participatory ontology. Why does any of this matter? In modernity, we have come to see the world around us as nothing but symbols: material objects separate from each other and separate from their origin in God (if we still believe in God at all, that is). The secularism of modernity is based on the false premise that the sensible world around is just material stuff, just appearances. Or, to use a fancy theological term, the material world is a world of ‘pure nature’ (pura natura). When we deny that the world around us participates, sacramentally, in eternal realities, we deprive them of meaning. After all, only the invisible reality can give true meaning to the visible sacrament.